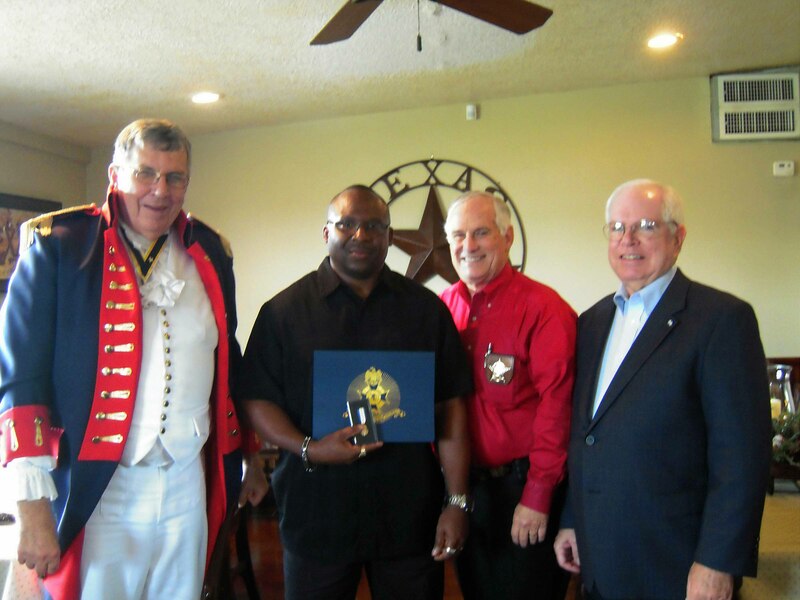 Our chapter interacts with the people and organizations within the Texas communities of Brazoria, Matagorda and Wharton Counties through our participation in patriotic Events and Programs. We host competitive patriotic contests among students, present merit awards to deserving individuals, and make speeches on historic and patriotic people and events. 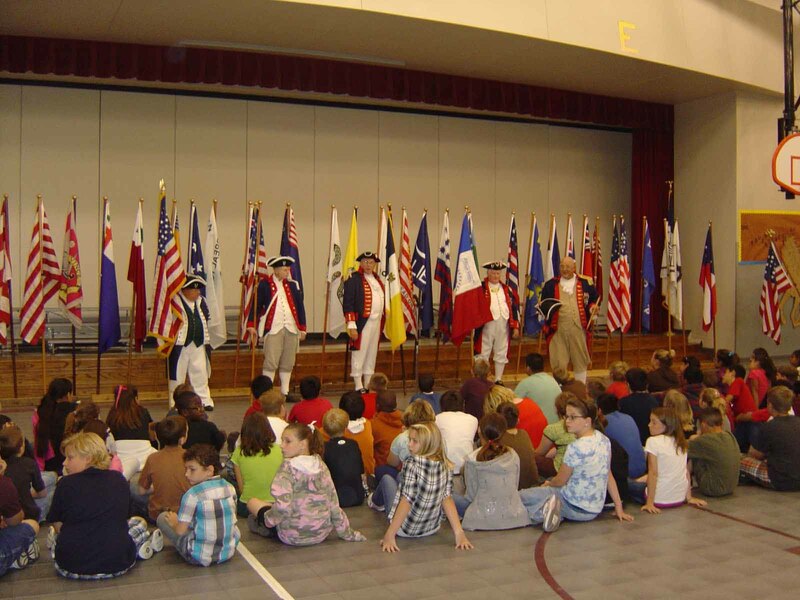 We make presentations that recognize and honor our patriot ancestors and our American heritage. By hosting local community programs and contests sponsored by the state and national SAR, we make awards to community individuals, including students, teachers, citizens, civil servants and veterans, who achieve special prominence – in their chosen field – in service to others – and by winning student competitions designed to improve understanding of our American heritage. On a local level our chapter typically hosts a booth at the annual Brazoria Heritage Day sponsored by the Brazoria Historical Society where we interact directly with the local community to introduce the SAR purpose and the role of our chapter to citizens of all ages. We help make them aware that they too might have an ancestor who was a patriot, and we invite them to come to a monthly chapter meeting to learn more about how to investigate their patriotic lineage. 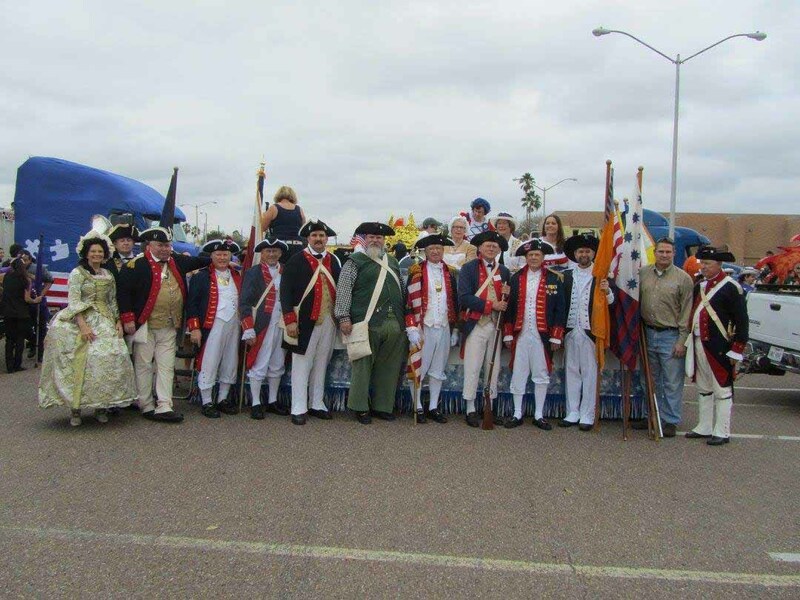 On a national level our chapter supports events such as the George Washington Day Parade held annually in Laredo, TX. This is one of the largest patriotic events in the nation. Our chapter Color Guard is usually one participant among many at this event where patriotic uniforms abound. Our members speak to students and other groups on patriotic themes, and also to citizens at historic, civic and SAR events. Speakers come from across the entire SAR organization including our own chapter, the state societies and national society of the SAR. Our color guard in full colonial military dress performs at many of these same events and may be able to perform at your event if requested in advance. The color guard is also a prominent committee at both the state and national society levels of the SAR. These interactions help our citizens learn more about and better appreciate their patriot ancestors and their sacrifices for the good of our nation, and they help us identify new prospective members for the Cradle of Texas SAR. We teach in the community. 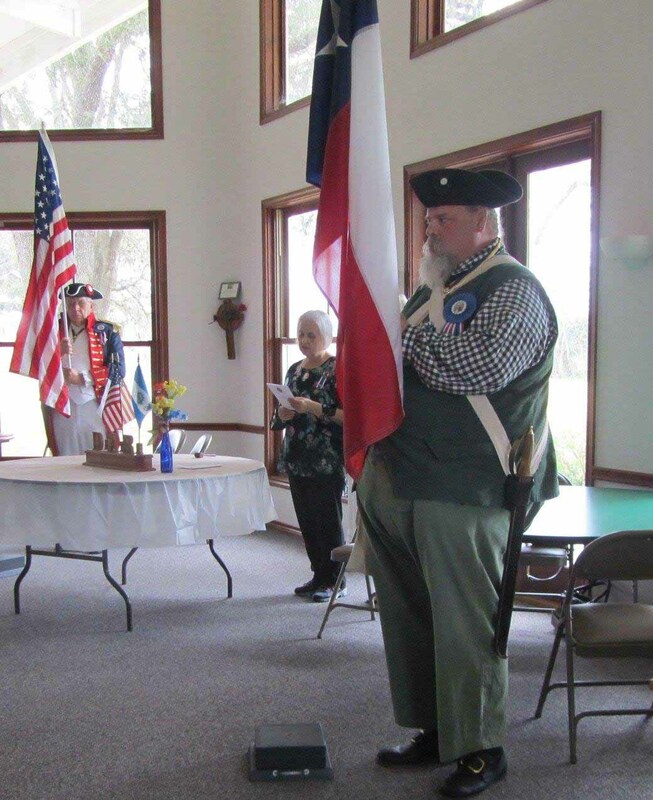 For example, our chapter Registrar and Genealogist, Bill Sanders, developed and taught a Genealogy Merit Badge Course to scouts of the Louise, TX BSA Troop 226 in late November 2017. Three scouts completed all requirements and earned this merit badge which was presented to them by their scoutmaster at a Court of Honor. 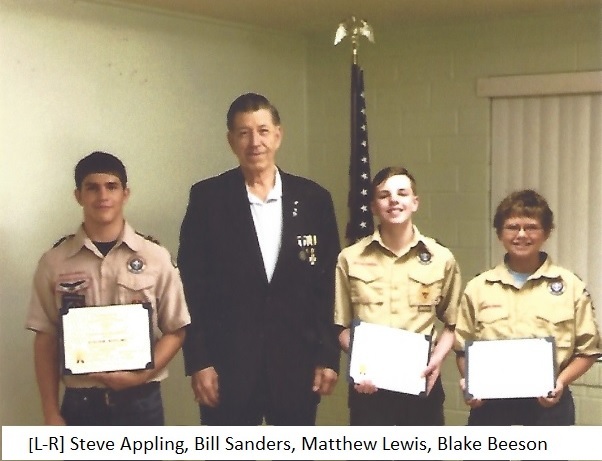 Bill Sanders also presented these scouts with SAR Certificates of Recognition for their achievement. These three scouts completed all requirements for their Genealogy MB and received SAR Certificates of Recognition from Cradle of Texas Chapter Registrar/Genealogist Bill Sanders.